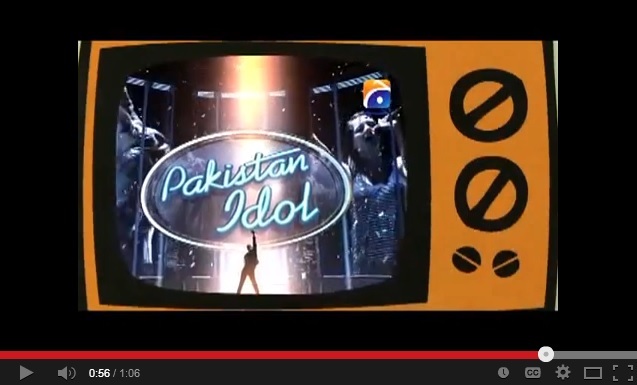 For the first time, Pakistan has its own version of the popular Idol singing competition. The first episode of Pakistan Idol was broadcast on December 6, 2013 by Geo Television Network under the tagline “Jo Hai Dil Ki Awaz”, meaning the sound of the heart. The series, which aims to find undiscovered Pakistani singers between the ages of 15 and 30 years old, follows the same format as the original British series Pop Idol, with a panel of judges selecting singers who will eventually compete on live television. The winner is determined by viewers who cast votes via telephone, text messages and online. The Idol format has been wildly successful in other parts of the world, with an estimated 460 million people – or roughly 15 percent of the planet's population – having watched some version of the singing competition. Tens of thousands of hopefuls auditioned for their chance at stardom, according to the series. “@FarrukhKPitafi: Watching #PakistanIdol on Geo Entertainment right now” Pretty good, in a kitsch way. Healthier than anything else on TV. But like the original Pop Idol, whose judges were notoriously candid with their harsh criticism of contestants, Pakistan Idol has already irked some viewers, with some complaining that the judges’ comments are “rude”. In various instances from 2nd and 3rd week audition episodes of Pakistan Idol, judges are seen passing extremely rude remarks and comments — many of which are easily interpreted as offensive and insulting — it appears they didn’t get the memo that there’s a line between being blunt about one’s singing ability and mocking someone for who they are. Unfortunately, the judges of the first season of Pakistan Idol appear to have taken this line for granted. They way the judges are taunting and making fun of contestants in Pakistan Idol is disgusting. First just Bushra and now Ali and Hadiqa too! Nothing funny about being mean. If ‘object’ of your humor not laughing with you, then you are laughing at them. Not good, #PakistanIdol. The judges have also raised the ire of some with their recent rejection of a talented young women from Punjab named Maria Meer, who became a sort of social media celebrity after her appearance on the show. #PakistanIdol is not about music. I mean, look at the judges, the songs etc. It's just about rating & entertainment purely. This is three year old news, we watched this on http://www.livetv.pk/geo_tv.html, please can you guide me or tell me about new news about Pakistan idols? ?